A teen mechanic harbours an escaped creature wanted by an oil company. 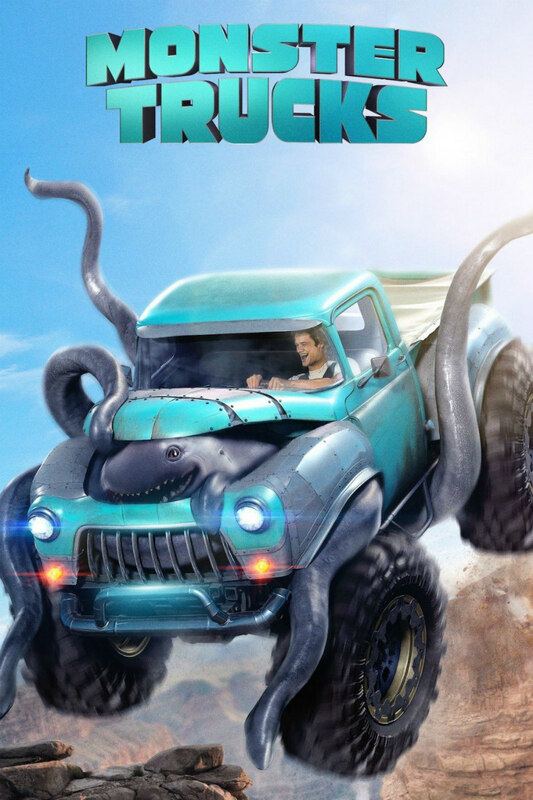 So how bad is Monster Trucks? It's no masterpiece, but it's certainly not deserving of such harsh treatment by its own studio, or the general snark that greeted the arrival of its trailer. Let's face it, this is no dumber a concept than those powering juggernaut franchises like Transformers and Fast and Furious. Following an explosion at a North Dakota oil drilling station, three creatures resembling dolphins with tentacles are released from the earth. Two are captured by the oil company while the third escapes to a nearby small town. Said town is the home of Tripp (Lucas Till), a teenage mechanic and loner who dreams of a greater life. While working late one night at Danny Glover's auto-shop, he encounters the escaped creature, whom he names 'Creech'. 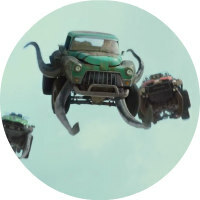 When Creech entangles himself in the workings of the jalopy truck Till has been labouring on, it becomes apparent he can power the vehicle better than any engine might. When a bunch of villains under the employ of the oil company arrive in search of their escaped monster, Till and Creech go on the run with nerdy high schooler Meredith (Jane Levy, whose adorable performance is the film's highlight) in tow. Monster Trucks has suffered a troubled history to say the least. The film was originally set for a summer 2015 release, then pushed back to Christmas of that year. When it was rescheduled a third time for March 2016, it became very apparent that Paramount had zero confidence in their product. Following a fourth rescheduling, it's now finally hitting cinemas at a time when it's up against such kid friendly fare as Rogue One, Assassin's Creed and A Monster Calls. So how bad is Monster Trucks? Actually, it's not bad at all. It's no masterpiece, but it's certainly not deserving of such harsh treatment by its own studio, or the general snark that greeted the arrival of its trailer. Much of the pre-release derision was targeted at its premise, but let's face it, this is no dumber a concept than those powering juggernaut franchises like Transformers and Fast and Furious. 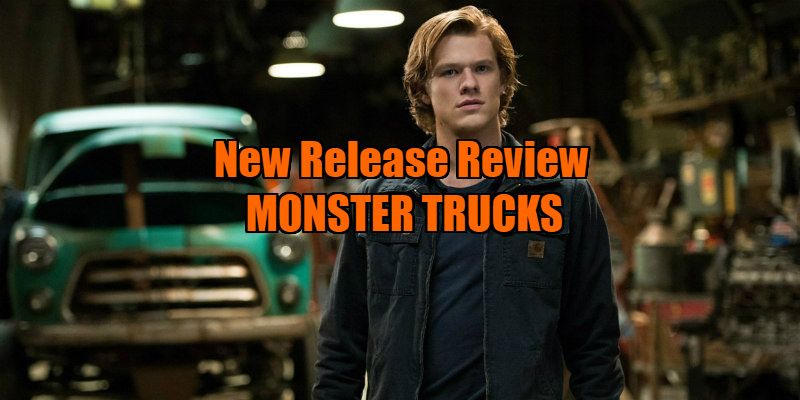 In the hands of someone like Joe Dante, Monster Trucks could have become a minor cult gem, but director Chris Wedge and his team of screenwriters simply do just enough to make it passable. However, they must be commended for their commitment to playing it straight in this age of Sharknado. That's not to say the movie takes itself too seriously. It has a light tone and an undeniably goofy charm that's a welcome respite from the darkness of most Hollywood movies aimed at a pre-pubescent male audience. The plot is simple to follow, the script never gets bogged down in exposition, and its action set-pieces, while far from inspired, are at least coherent, with a fun final sequence that plays like a Saturday morning riff on Mad Max: Fury Road. Monster Trucks does just enough and no more. That's more than can be said for many of its big-budget rivals. Monster Trucks is in cinemas December 26th.